This device/protocol is new to me, though I have been looking into Low Laser Light Therapy which looks promising. I will be looking into the science around this device, also its history, i.e. which came first, the device or the science. Lew Lim, the founder and CEO of VieLight is seen explaining the device in the video. The technology is called transcranial and intranasal photobiomodulation (PBM). Initial, small-scale results, are promising. Five people, with mild to moderate Alzheimer’s, used the headsets every day for 12 weeks. The headset frame, with four different LED cluster-heads and an LED that clips to the inside of the nostril, was turned on for 15 minutes a day. After the three months, neuroscientists noticed some patients, who were not able to speak in full sentences, could now put sentences together. Patients also experienced improved sleep and reduced wandering. Sorry about the ad in the embedded video! 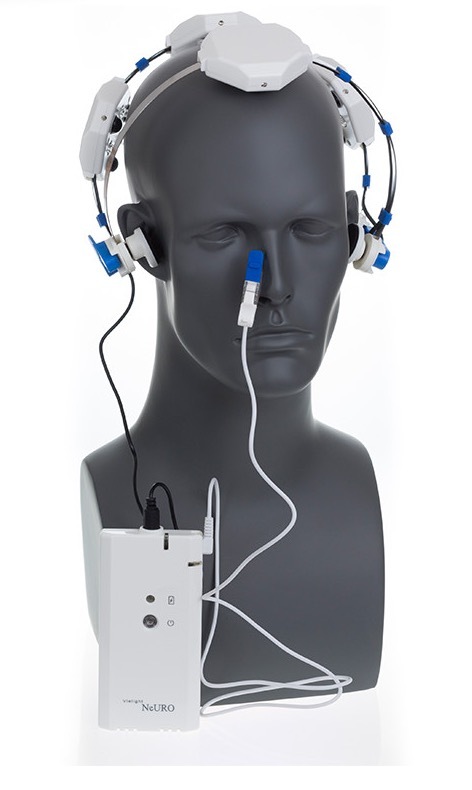 The device is called VieLight, (which does not include EEG which was used in the study depicted), seems to be available for sale. A smaller device, called the ‘Pocket Miracle’ is also for sale.